[SatNews] Crewtoo(r), the seafarer social network operated by KVH Industries, Inc., (Nasdaq:KVHI) has been named the most popular maritime website in a survey of mariners conducted recently by Futurenautics, an independent information resource that identifies technology trends in the shipping industry. The Crew Communications Survey 2014 addresses many topics surrounding the issue of crew access to the Internet for staying in touch with family and friends. When respondents (nearly 3,000 mariners from 30 different nationalities) were asked to name their favorite maritime website, the single most popular choice was Crewtoo. With 105,000 members, Crewtoo is the world's largest online network dedicated to seafarers, and was founded less than two years ago. The online network gives seafarers a way to post comments and photographs from their vessels, chat with colleagues on other ships, take part in seafarer-related polls and votes, and keep up with maritime news. 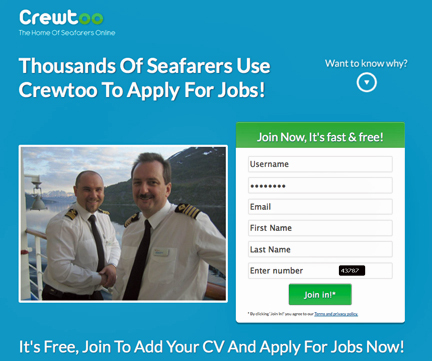 Crewtoo recently added an online maritime jobs board to help match the right companies with the best seafarers. KVH Media Group produces a wide range of news and entertainment content for the maritime industry with brands that include: NEWSlink™— daily news from around the world, in print or video; MOVIElink™—new-release movies from Hollywood and other international studios; TVlink™—popular shows and series from leading studios worldwide; SPORTSlink™—highlights of games and teams around the world; and MUSIClink™—an array of digital music. KVH Media Group's content is delivered in a number of ways, including KVH's new IP-MobileCast™ content delivery service using multicasting technology. KVH provides maritime broadband connectivity to vessels worldwide through its TracPhone(R) V-IP series terminals and mini-VSAT Broadband(SM) service. 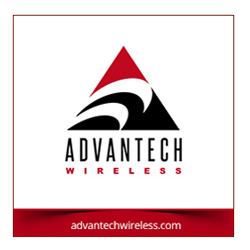 KVH recently shipped its 4,000th TracPhone system for mini-VSAT Broadband. The mini-VSAT Broadband service is the market share leader in maritime VSAT, according to an industry report by Euroconsult released in March 2014.